Dr. Erin Winkler, Associate Professor at the Department of African & African Diaspora Studies, presented a portrait photograph of Professor Winston Van Horne to Mrs. Mary Van Horne, on behalf of the Department. 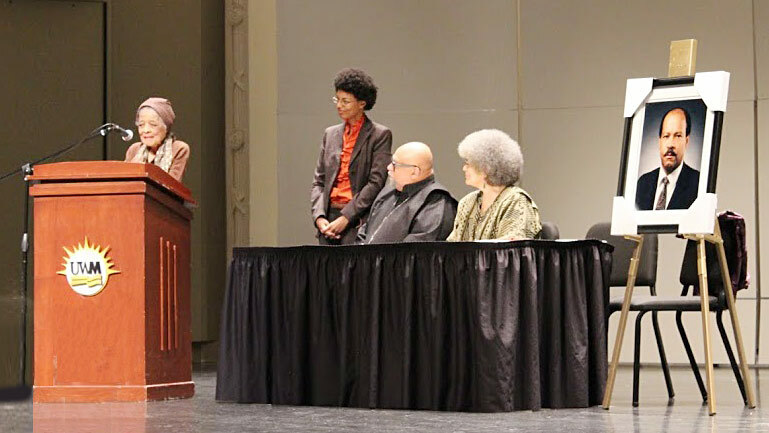 Photos from the Professor Winston Van Horne Memorial Service. 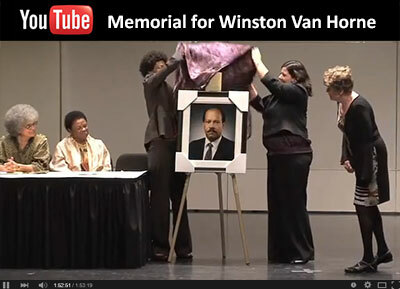 View the video of the Memorial Service for Professor Winston Van Horne. On April 26, 2013, Room 206 Mitchell Hall was dedicated in honor of Professor Winston Van Horne, by decree of the UWM Faculty Senate. 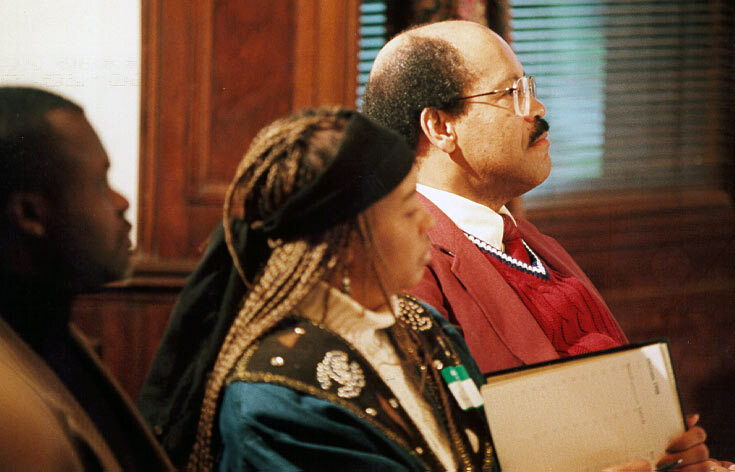 The Department of African & African Diaspora Studies is saddened to announce that esteemed professor Dr. Winston Van Horne passed away on May 24, 2013. About Winston Van Horne’s life and career.